Ushers: sign up genius. Get to see the show for free. If you are in the show you can’t participate. Thespian Conference: register by tomorrow. If you participate you will get to see one acts and do workshops. First day is at a local High School and the second day is at The Guthrie. You do not have to perform in NIES to participate in the conference. There are things to participate in such as yoga, tap dancing, how to scream without hurting your voice, view One Acts, participate in Tech Challenges, view NIES performances etc… NIES is part of the Thespian Conference and that is where you perform and get feedback. It is not a competition. On the second day at The Guthrie you get to take a backstage tour, take a general tour of the building or get special tours of the costume or scene shops. More info is on their website. It is $60 not including a t shirt ($10 discount if you are an initiated Thespian. )There is a $10 late fee if you register after January 20th. One Act Festival: it is January 20th at Woodbury High School This is not a competition. It show cases East Ridge, Park and Woodbury. Parent Meeting for One Act: meeting is Thursday, December 15th at 7pm. Any people involved in any aspects of the One Acts should attend this meeting. 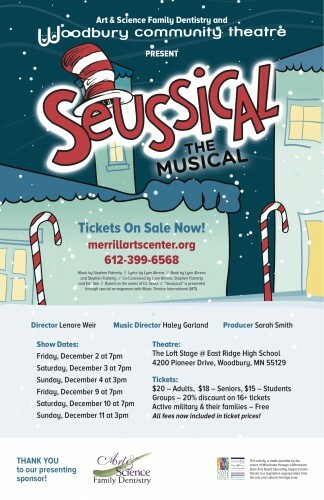 Suessical and Aspire Show Choir: Performances this weekend December 9th-11th at The Loft Stage. MTO: Students submit 10-30 minute plays. There will be 4 shows overall. You have to submit this via google doc Saturday the 10th by midnight. The same google doc can be used to audition to be an actor in one of these shows. For actors, a short video is needed on December 14th by midnight. Directors can send in a form, and techies are needed too. These will be performed at the Conference. The rehearsal schedule is chill, and will be set up if you are part of the shows. NIES: Planning meetings after winter break (pair up people that need partners, etc.) 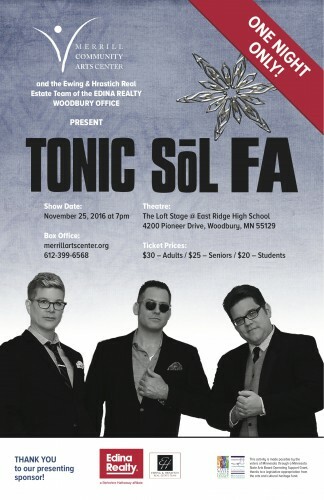 Meet two weeks before the conference to perform for Mrs. Hestwood and everyone else. Techie NIES are available as well! Christmas Party: A Christmas Story theme- will be Friday, December 16th (address coming on Facebook). Dinner will be provided. Everyone will bring something to share such as an appetizer, dessert or snack. There will be a $10-$15 white elephant gift exchange (gift should be weird but useful)! Caroling: Lofties will be caroling with Mrs. Grannis Saturday, December 17th. More info, including address coming student Facebook. **Register as soon as possible for The Little Mermaid or you won’t be able to rehearse. Also register for LoftPac, (very important for budget aspects). *Senior/Freshman party on Friday, October 7th at 7:30pm at Quintin’s house. *Junior/Sophomore party on Friday, October 7th at 7:30pm at Tony’s house. *Make sure you are receiving newsletters, remind 101 texts (@loftpa to 81010) and are on the student faceboook student page for updates and reminders! *Sign up for set construction on the link put on the student facebook page before going to set to let George know when you are going to be there. *Booing –Be committed! You have two days to boo the next person. Post a pic of your goodies and put on instagram and the facebook page (#booedbyaloftie is the hashtag:)). Don’t tell anyone who you boo’ed , we’ll reveal it on Halloween. Addresses will be kept private. This year you will only Boo one person. *Get poster plaster folders to Tony if you haven’t yet. *Outreach focus this year is cancer. “Making magic for a cure” is the motto. The service project will be announced later. *The Butterbraid fundraiser has started. Don’t forget to hit up your teachers! Profits will go to the London/Dublin trip or the New York trip in two years. Even if you aren’t traveling you can help out others. Due date is October 24th. Orders will be placed on the October 25th, so we can get them back before Thanksgiving.